After a break of what seemed like forever, although in actual fact it was one of the shortest winter breaks in NB1 history, the Hungarian top division kicked back into action over the weekend. 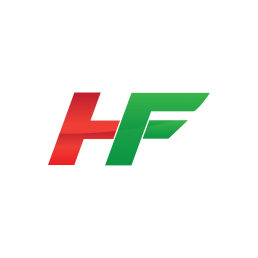 The standout game on the opening fixture list of the Spring season was undoubtedly the Budapest derby, and Saturday evening kick-off, between Ferencvaros and Budapest Honved at the Groupama Arena. However, keen to scratch my itch for some live football and experience the highs that can only be achieved via the raw, coarseness of the Hungarian game, I plumped for the early kick-off between MTK and Paksi as my game of the day. In truth, it was a bit of a last-minute decision as I realised I’d double booked myself for the evening and this was the only way I’d get my live football fix. But still, my addiction would be satisfied and I’d get to watch a new team play. Having never witness Paksi play in the flesh before I was intrigued to see how they would fare against an MTK side whom I consider to be, on their day, one of the more entertaining sides to watch in the league. As I made my way down the Number 1 Tram line to the Hidegkuti Nandor Stadion I began to get the feeling that I wasn’t the only one looking forward to the return of the NB1 as the tram thronged with people, all surely going my way. Unfortunately not, as the majority of my fellow travellers got off two stops early at Puskas Ferenc Stadion; clearly, they’d missed the memo that the league was starting back early. By the time I arrived at the stadium, half-an-hour before kick-off, I was the only one to get off the tram and cross the tracks to the stadium forecourt where I was more than slightly disappointed not to see a larger gathering of fans hovering around, soaking up the last of the pre-match atmosphere. I was now beginning to think maybe I was the only one who wanted to be here. Thankfully, that wasn’t the case. I was soon joined by my friend Gabor, who I’d agreed to meet at the ground, and several of his work colleagues who had also come along to enjoy the thrills and spills of the NB1. Tickets bought, we entered the ground and, as you do, went straight to the bar for a cold pint of Arany Aszok; perfect for warming the cockles on a freezing cold February afternoon, and off to our seats we went. Even now, two years into life in Hungary, the novelty of taking a pint out to my seat to enjoy whilst watching the game has still yet to wear off. Thanks to the riots following the 1980 Scottish Cup Final, and football fans being treated like second-class citizens, alcohol is still banned from Scottish football stadia. Pint in hand, and one eye on Gedeon Goose the MTK mascot, I sat down to enjoy the game and immediately felt a pang of solidarity towards Paksi as they performed a pre-match huddle; being a Celtic fan, I’m a sucker for a huddle especially if the team doing it is wearing green. From the get-go, both teams impressed with their willingness to try to keep the ball on the deck as much as possible and play a passing game. However, it was the away side who looked more confident in possession, putting together several decent moves only to see them fall apart at the final ball. MTK huffed and puffed for most of the half without ever really finding their rhythm and veteran striker Sandor Torghelle cut an increasingly forlorn figure as the half wore on, despite his best efforts at getting involved in the game. With half-time approaching Paks finally made one of their passing moves count, and boy was it worth the wait. After picking up on a second ball about 25 yards from goal, the Paks attack combined with a series of quick passes to waltz in behind the MTK defence. Artem Kychak, in the MTK goal, advanced to block the first shot but as the ball looped away towards the edge of the penalty area, he was left helpless as Mohammed Remili reacted quickest to score stunning overhead-kick. Somewhere in the world, Zlatan smiled and approved of this most outrageous of goals. The second 45 followed a similar pattern to the first. Lots of industry, both teams trying to play football, but, ultimately, a lack of any end product resulted in the game becoming a war of attrition in the midfield. Again, it was Paksi who showed most promise with Remili pulling the strings going forward. Indeed, it was from his beautiful near post corner delivery that Janos Szabo flicked home the visitors second of the game in the 76th minute. Three minutes later and it ought to have been game over as Janos Hahn blazed high and wide when clean through on goal following a defensive error from MTK. Finally, with the game all but out of reach, MTK upped their tempo and began to threaten the Paks goal. With five minutes left to play the hosts finally gave their supporters something to cheer as Istvan Bognar’s crossed sailed over Gergely Nagy and into the net, ala Ronaldinho versus England all those years ago. Alas, however, there was to be no further samba flair or carnival finish for MTK as Paks withstood a late onslaught to hold on to a deserved 2-1 away win. In the process, they impressed me with their organisation and determination to play a passing game. 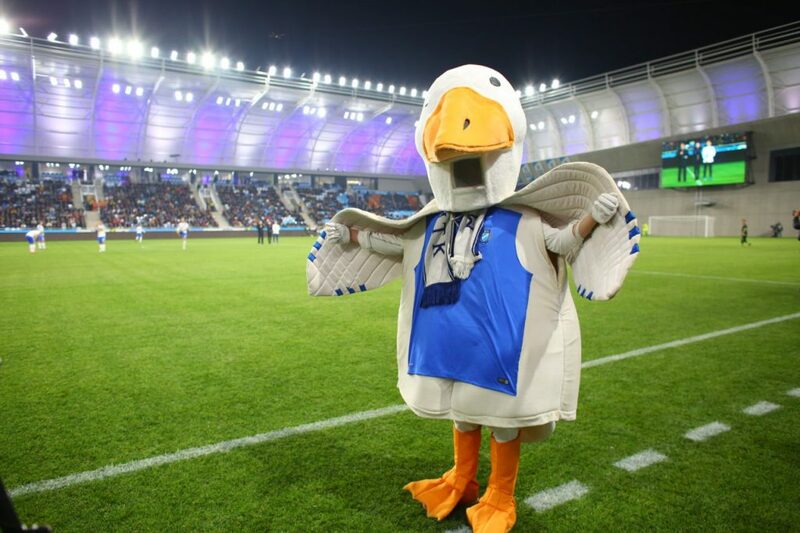 As for Gedeon Goose, he barely flapped a wing the entire game and was a bit of let down. He, like the majority of the 1,300 strong crowds left disappointed, feeling that MTK could have offered so much more than they did. Somehow, I expected more from MTK’s wing man. I left for the pub to watch Ireland take on England at the egg-chasing, sorry, rugby; I too would end my night disappointed. But I did get to see Henry Cavill, Superman himself, so you know, swings-and-round-a-bouts. And for those interested in the Budapest Derby, it finished 1-0 to Ferencvaros, who remain 6 points clear at the summit. But there were no worldies like Remili’s strike.